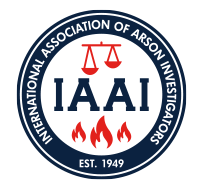 **This class meets the IAAI 40 hour Basic Fire Investigator course** For new investigators, or those looking to hone the basic skills of fire investigation. Lead instructors Jason Mardirosian and John Gamboa will lead the class through lecture and hands-on investigation techniques. For the seasoned or more experienced fire investigators, this track will cover the topics below and will be taught by instructors from across the industry. Registration Closes April 8, 2019. Copyright © 2018 International Association of Arson Investigators, Inc.